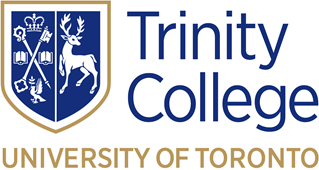 The University of Trinity College is a member institution of the Association of Universities and Colleges of Canada, as is the University of Toronto, with which Trinity is federated. Since 1938, the Faculty of Divinity of Trinity College has enjoyed accredited membership in the Association of Theological Schools of the United States and Canada. Through that body the College helps to define the standards of theological education throughout the continent and to participate in evaluating the quality of theological studies.